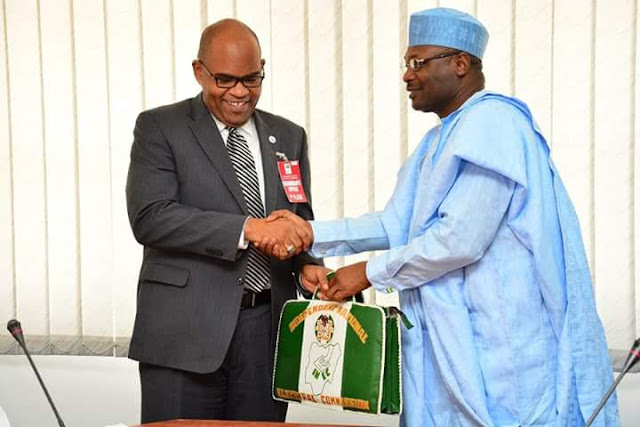 Chairman of the Independent National Electoral Commission (INEC), Professor Mahmood Yakubu, has said that the Commission under his leadership would build on existing relationship with Development Partners to improve the electoral process. The INEC Chairman made this known at the Commission's headquarters in Abuja in three separate meetings with the leaderships of the International Republican Institute (IRI), International Foundation for Election Systems (IFES) and the United Nations Development Programme (UNDP). Professor Yakubu acknowledged the partnership and support the Commission had enjoyed from the international organizations, which he said had “continued to advance the cause of democracy through the sound management of the electoral processes based on international best practice”. He lamented the low level of participation of registered Political Parties in elections, stressing the need to strengthen the Political Parties with a view to improving the process. “As we speak, we have thirty (30) registered Political parties in Nigeria but not all of them participate in elections. But we go through one election or the other you see only few political parties participating. For the system to be stronger than what it is, parties must be strengthened. They are the only vehicles for vying for elective positions. The political party is the only platform recognized by the Constitution to vie for elective positions,” he said. The INEC Chairman further said: “making elections better is not just a function of here and now. We shall continue to explore ways to strengthen the electoral processes in areas such as capacity building, relationship with political parties, issues arising from field experience and how we can fix them, as well as logistical challenges”. He supported efforts by the Development Partners to carry out self appraisal, with a view to improving the partnership and support to the electoral process in Nigeria. Earlier the Country Director of IRI, Sentell Barnes, had commended the new leadership of the Commission in its strides so far. He said: “we commend your unwavering commitment to improving electoral processes in Nigeria”. He recommended the need “for the Commission to institutionalize the training of poll/ party agents through inclusion of poll/party workshops in the list of activities issued ahead of elections. He also recommended the need for structured interaction between the Commission and the Development Partners as well as the need for the Commission to prioritise accessibility to polling units and enhance communication of INEC messages in accessible formats. He assured that the Institute remained committed to the quest for credible and transparent elections. The IFES Country Representative, Shalva Kipshidze, said the purpose of their visit was to brief the Commission on previous communications with different departments of the Commission and explore ways to further strengthen the existing relationship for better elections. The Country Director of the UNDP, Pa Lamin Beyai, informed the Commission that the UNDP and affiliate donor organizations such as the EU, DFID, and Canadians had contributed thirty (30) million dollars towards supporting elections in this country in various forms. He implored the Commission to engage with the different Development Partners to find ways of reviving the Joint Donor Basket so as to continue improving elections in Nigeria.